Choose the Right Push Magnet for Your Application. 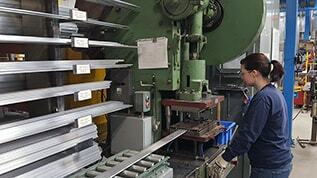 Select a magnet width that works best for your application. Bluestreak has a number of push magnet models to suite different user preferences and applications. One feature to consider is simply the width of the magnet. Select a width that matches your application. 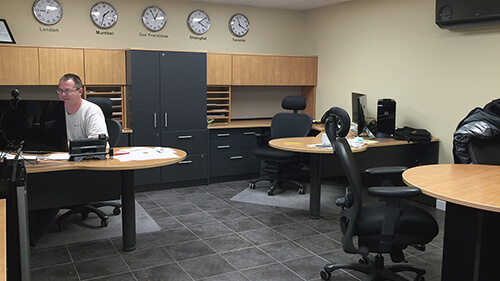 Do you need to cover larger areas quickly and need a wider width or will you be working in smaller tighter locations that would benefit from a smaller width. 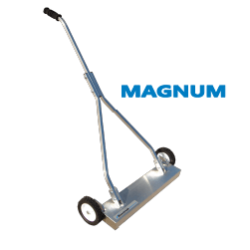 Keep in mind, the only reason for choosing a wider width magnet is to reduce the time spent sweeping because a wider magnet covers more ground in the same amount of time. There is NO difference in pickup strength between a wider magnet model, say a RIP 31, versus a RIP 20. There is a difference in pickup strength between a model series, say a RIP versus a Scape. Should you pick a magnet with the most pickup power? Before choosing only on the basis of pickup power, keep in mind that not every application needs the most power. 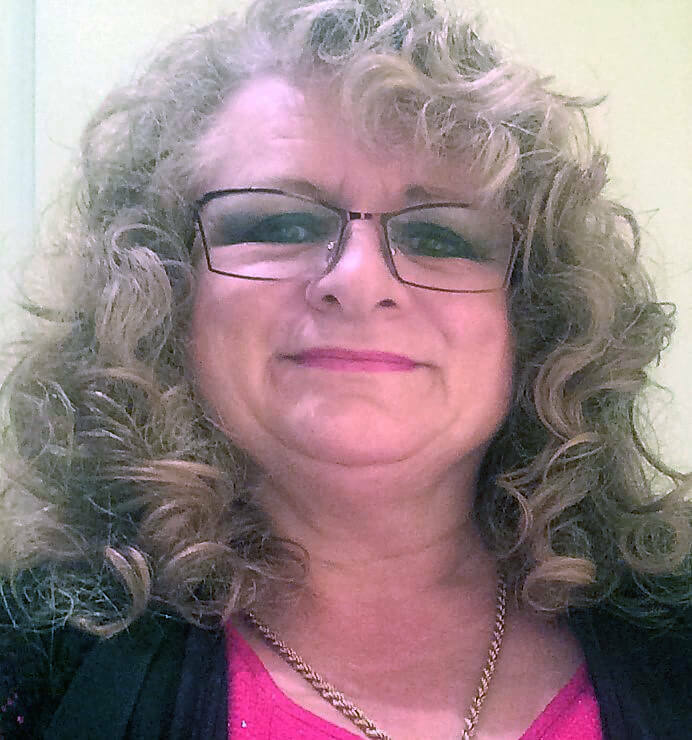 Some applications may benefit from having more application specific features rather than power. Many roofers want something lighter that they can put behind the seat of their pickup truck and because they may not have to clean a very large job site it may be acceptable to them to pass over an area several times. However, if you are wondering about pickup power, Bluestreak measures pickup power in terms of the “maximum lifting height using a two and a half inch nail”. Everyone knows what a two and a half inch nail looks like. This measure indicates the maximum height that the sweeper can pick up a two and a half inch nail from in a bench test. This is the best indication of performance and pickup power that is easy to understand. Below are the maximum lifting height measurements of the Push Magnet Models. When choosing a push magnet consider the terrain you will be working on because the terrain you will be working on greatly effects the magnets’ performance. 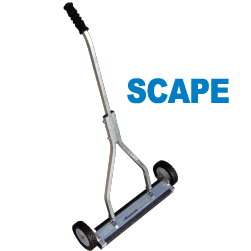 We design some of our push magnets to work well on flat surfaces as well as ones that are more “all terrain” and more versatile on a variety of surfaces. If you know you will be working mainly on concrete then choose a push magnet that is designed for flat surfaces. Or if you are going to be picking up debris in grass then choose a magnet that works well on all terrain. “Wrap around” feature to keep debris from being brushed off the back and more height control. 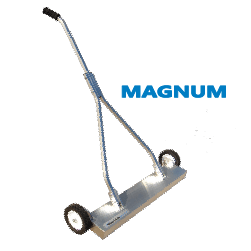 All Terrain push magnets are designed to work well on all terrains can be used on any surface. 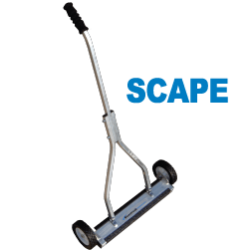 However, they have been specifically designed to perform well on grass, dirt and other rough or uneven surfaces. 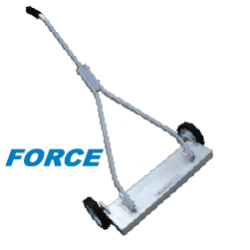 As you push the magnetic sweeper over rough surfaces like grass, the grass comes in contact with debris stuck on the bottom of the magnet and it pushes the debris backwards. On many magnets the debris is actually pushed off the back of the magnet from the grass. That’s why Bluestreak’s all terrain magnets are designed with a “wrap around” feature so that when any debris stuck to the bottom of the magnet is pushed backward it simply snaps around on the back side of the magnet rather than falling off. Flat Surface push magnets are designed specifically for industrial applications that use them on flat surfaces such as concrete or asphalt. They have features that improve their performance and reliability in industrial applications such as the Bora’s stronger frame. These magnetic sweepers do not have the wrap around feature which is not necessary for use on flat surfaces. 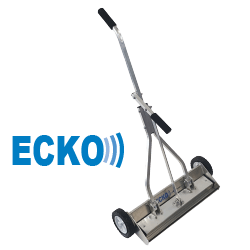 Because they do not have this feature they will not perform well in grass or on surfaces which may come in contact with the bottom of the sweeper. Heavy duty solid frame construction and pickup power. What do the staff of Bluestreak have to say about Push Type Magnets? The best suggestion I can give is understand the features of “wrap around”, the various clean off methods available, and magnet lifting height, then look at the product comparison table and decide which product will work best for your situation. Selection of Push Magnets designed for "All Terrain"
With Quick Clean Off Sleeve. 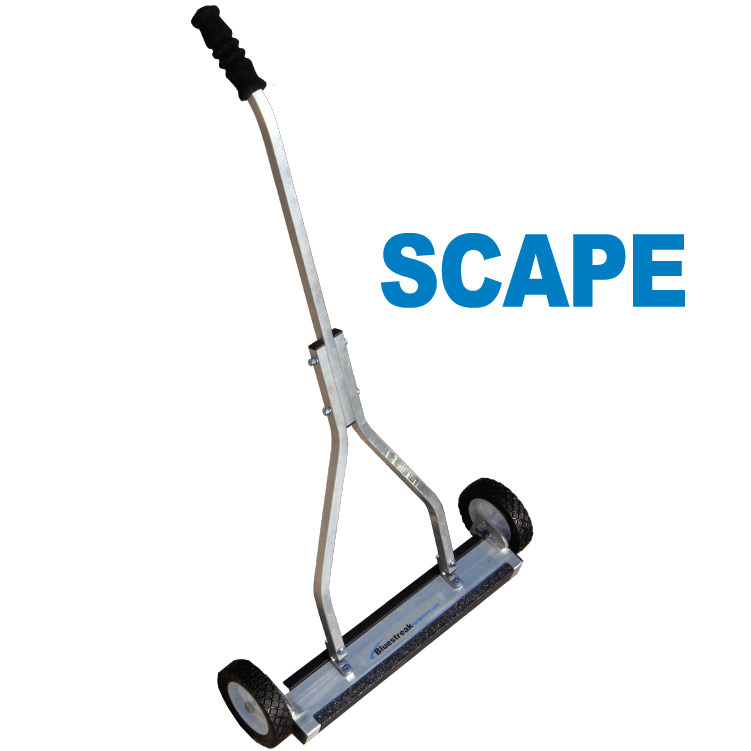 The Scape magnetic sweeper is a compact, light weight “all terrain” push magnet. It’s perfect for home owners and light users, but is also a favorite of roofers who want a light but effective tool. The Scape fits nicely behind the seat of a pickup truck. Because the Scape is so light, it can easily be picked up by one side of the lower “Y handle. Comes standard with a Quick Clean Off Sleeve. 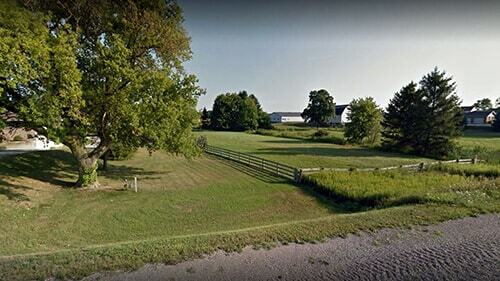 The Scape also features the all terrain “wrap around” design for use on grass surfaces. Designed with all the features but lighter. 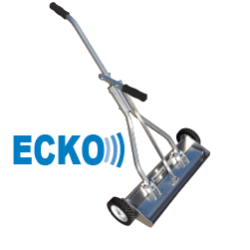 The Ecko magnetic sweeper is an “all terrain” push magnet designed for roofers that want a lighter sweeper but still want all the features of quick clean off, height adjustability and durability. It includes a wider range of wheel height settings, quick debris release, sturdy design, “wrap around” design and angled front nose. It’s all about the details and the Ecko pays attention to them all. The Lighter Choice for Roofers. 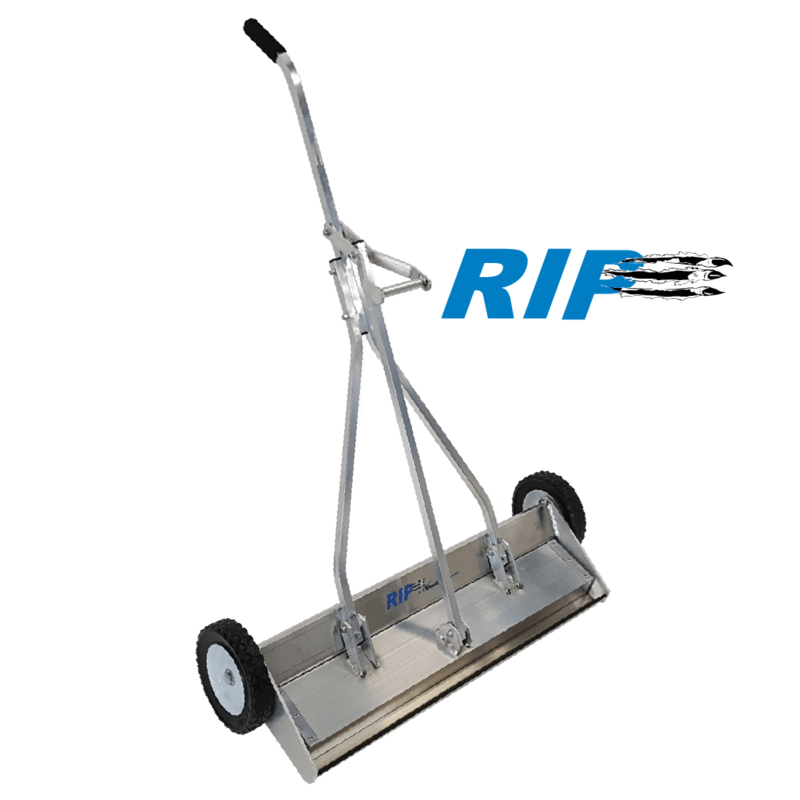 It has a welded design, double welded lower handle support brackets, a three piece “Y type” handle for extra durability, and good commercial level pickup power, with a medium weight to allow easy loading and unloading from job site to job site. Ready to handle any rental situation. 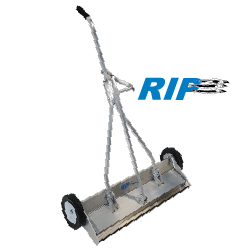 The RIP magnetic sweeper is an “all terrain” magnet specifically designed for the rental industry and professional contractors. The RIP is the big brother of the Ecko Series magnet and so it has everything the Ecko has and a bit more; debris release handle, seven wheel height adjustment settings, angled front nose, “wrap around” and loads of lifting power. You’re not going to find a stronger or better built all terrain push magnet on the market. The performance is exceptional. The Force magnet is an “all terrain” magnet with loads of pickup power in a no frills design. It’s for those users who really care about pick up power. Most of all, it doesn’t have all the extra features just the basics, but it’s sturdy, rugged and gets the job done. 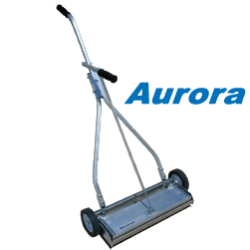 The Aurora is available in a narrower 19 inch sweeping width so it is easier to manoeuver around shop equipment in a smaller shop environment. 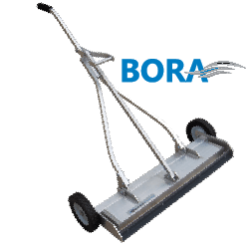 The Bora magnetic sweeper is the biggest push magnet designed for flat surfaces such as concrete or asphalt. It has two layers of C8 ceramic magnets packed end to end for loads of pickup power. It is similar to the RIP magnet in pickup power with a lifting height of 5 and 3/4 inches. 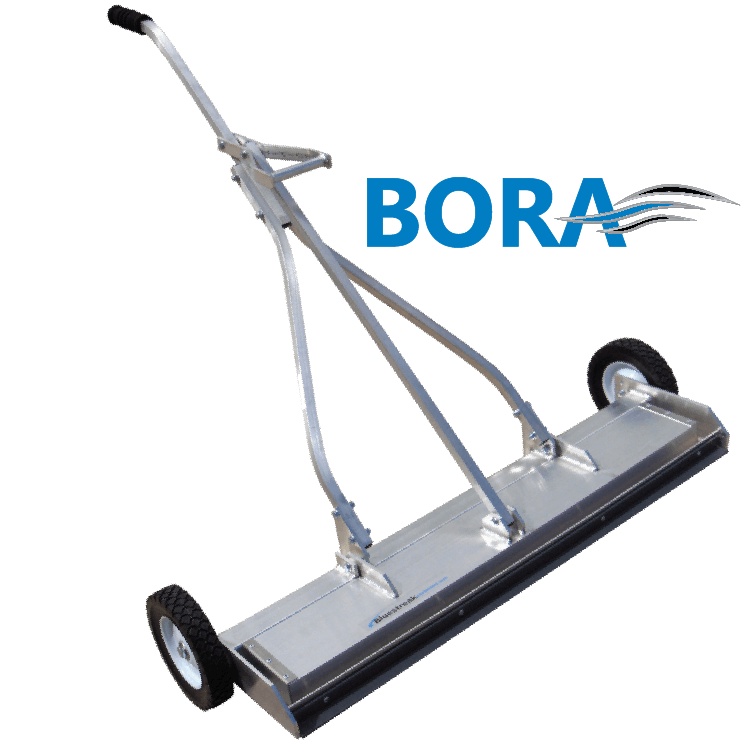 The Bora is also loaded with features. 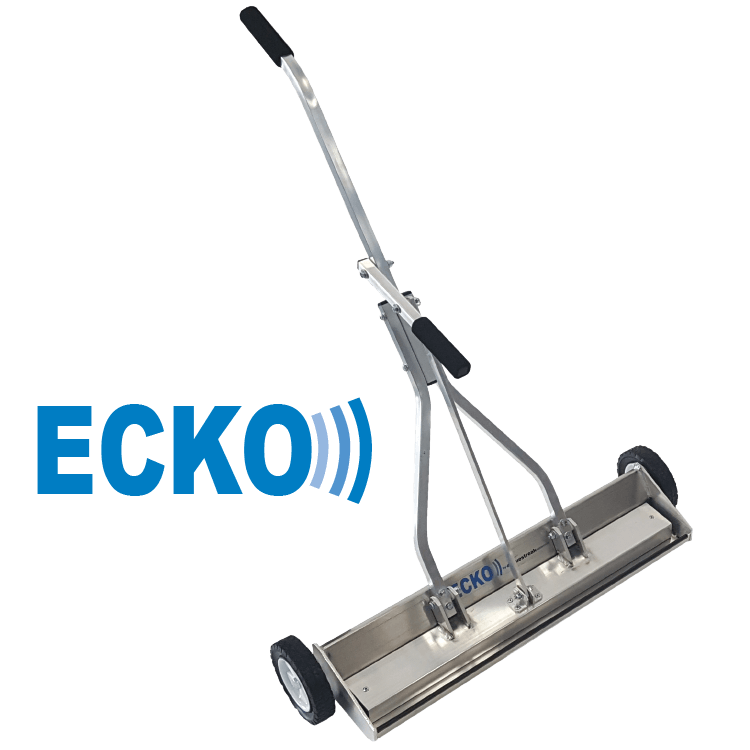 It is designed for professionals who needs pick up power, durability and wider widths. Sizes: 25, 31 and 37 widths. 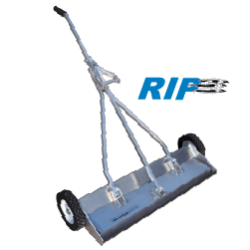 Maximum Lifting Height 3 3/4" 3 1/2" 4 3/4" 5 3/4" 6 1/4" 4 1/2" 5 3/4"
Sweeper Widths 14" , 20", 26" 20", 26" 20", 25", 31", 37" 20", 25", 31" 19", 25", 31" 19", 25", 31" 25", 31", 37"